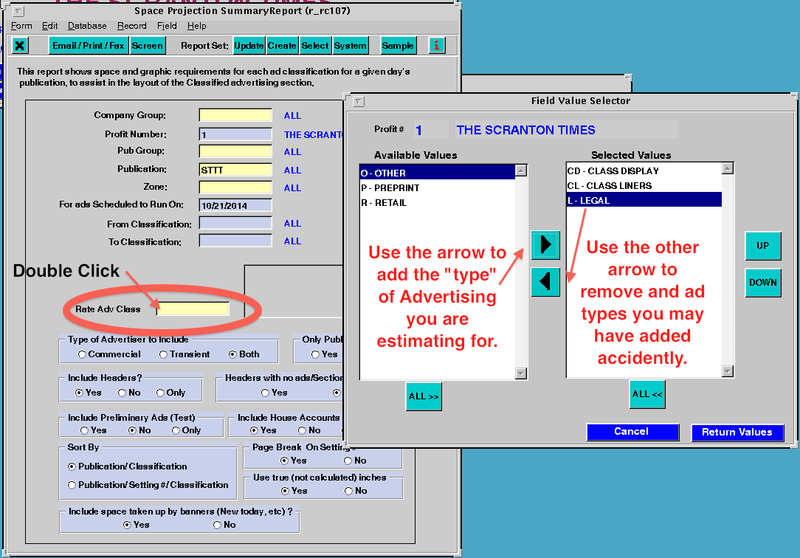 NEW Way to choose the "types of ads" to estimate. 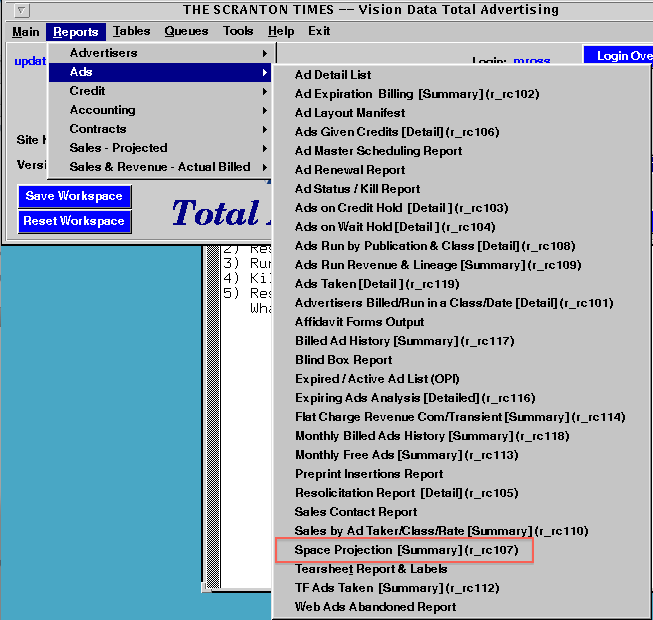 The report completes the ad types you are estimating. You can also type in the types, separated by a comma. 1) Get the total inches from the report. 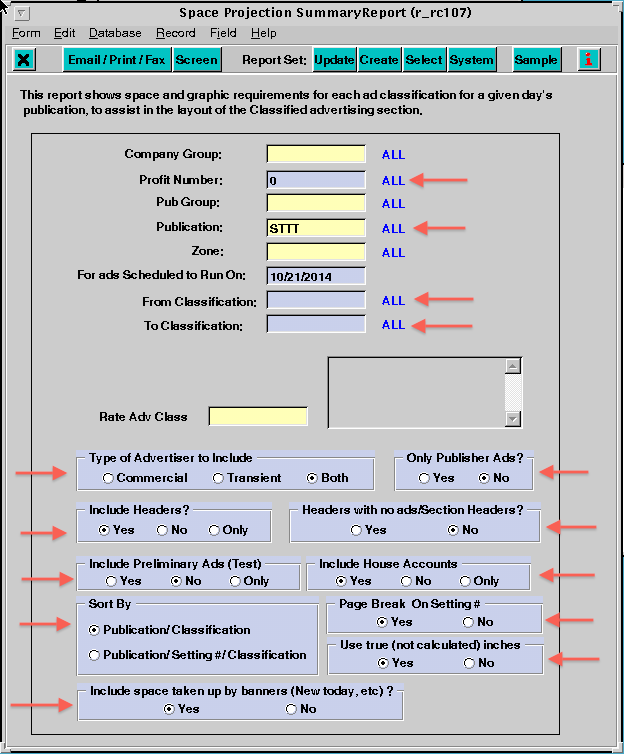 2) Add any known "furniture" that would not be part of the estimate, such as the classified banner, the who does it header and footer...etc. 3) Add your sites measurement for "growth" as sales continue until deadline. 4) Take the total inches, divide by the number of columns in the product then divide by the page depth. Example: Total is 352" / 6 = 58.666 / 20.5" (broadsheet depth) = 2.861. You need 3 pages reserved for classified.